This article is 2481 days old. The warning ended at 8:58pm. 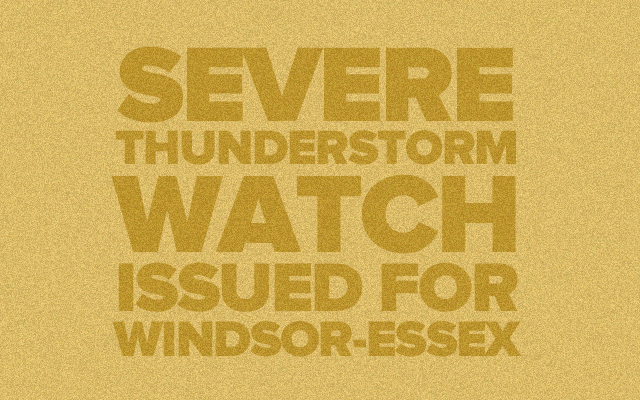 At 4:44 PM EDT Tuesday 03 July 2012, Environment Canada has issued a Severe Thunderstorm Watch for Windsor-Essex. Severe thunderstorms have developed over lower Michigan. These storms have the potential to maintain their intensities when they track into the above regions between 5:00 to 7:00 PM EDT. The main threats are hail near 4 cm and damaging winds.